Nothing makes you feel better than a well worn pair of jeans. That is the basis of the design of this horse head frame. Made to look like distressed denim it just basically goes with anything. Around the 4x6 image window is a very decorative lasso rope. 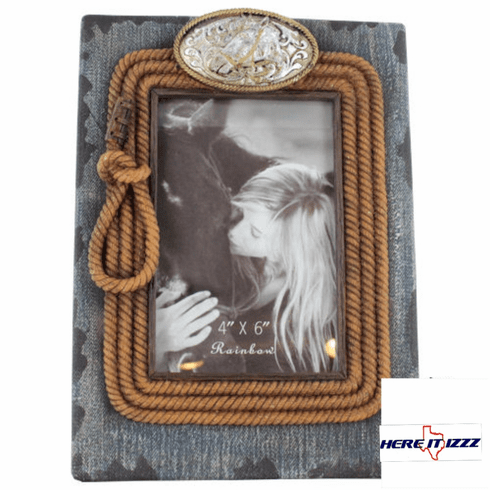 The Final Touch to this denim frame is the horse head belt buckle. This is the perfect gift for a barrel racer a rodeo clown.